TOMEK and other ...THINGS!!! : BE THERE! silkscreen by TIND! BE THERE! silkscreen by TIND! 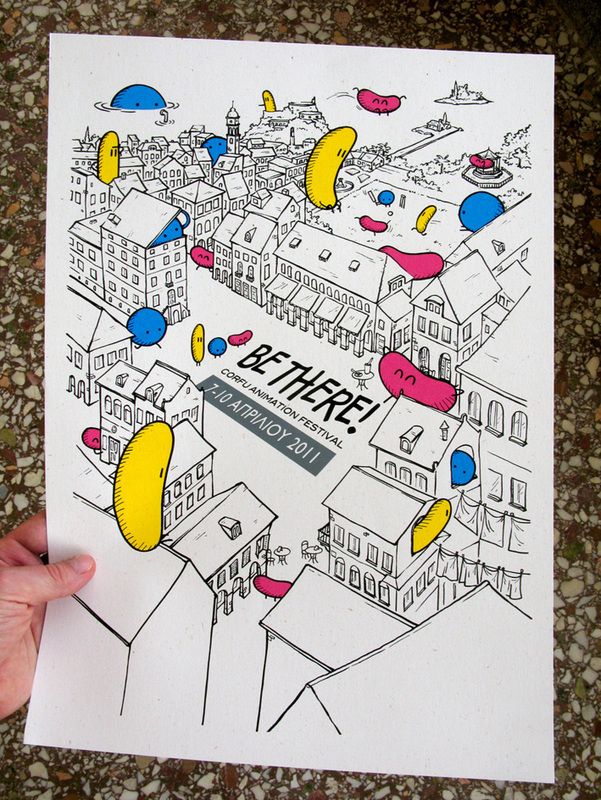 The poster I did last April for BE THERE! Corfu Animation Festival was also a silkscreen made by TIND! We put the three-color beans in their awesome laboratory and the result was just perfect. The silkscreen poster was printed in a limited series of 100 copies with 5 colors (A3 size). It was a pleasure ! I really enjoyed it !! Awesome work dude and congrats for the yummy Rigatoni with Figs and curry recipe! HEEBY JEEBY Comix is HERE!